High speed control 1.8 kW AC servo motor, rated speed of 3000 rpm, 6 Nm rated torque, with max output speed of 3600 rpm, peak torque up to 18 Nm. Brushless design, equipped with a 2,500 PPR incremental encoder or absolute encoder. Favorable price and manufacturer direct sale. Brushless 220V AC servo motor, 1.5 kW power rating, with a rated torque of 5 N.m, peak torque of 15 N.m, 3000 rpm rated spped, max speed of 3600 rpm, low noise and vibration when rotating. Tips: Overrun errors occur in motor deviation counter when servo motor rotates at high speed, how to solve? c. The load is too heavy. 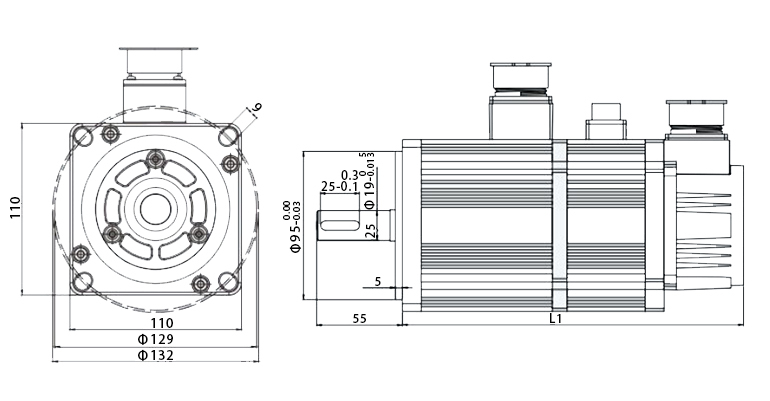 It is necessary to choose another motor with larger capacity or reduce the load, install speed reducer or other drive mechanism, so as to improve load capacity. d. The load is too heavy. 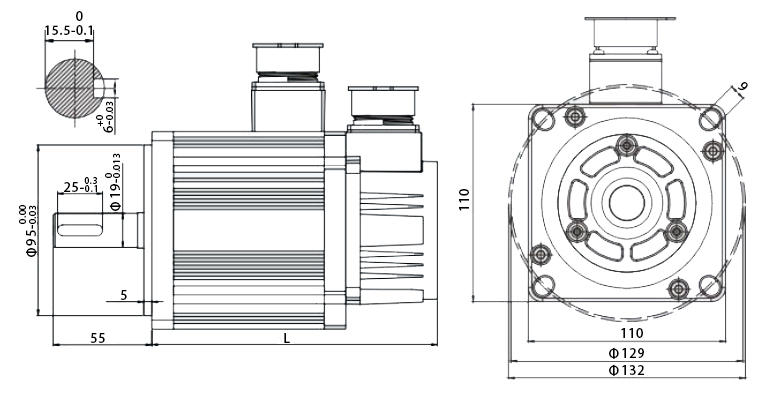 It is necessary to choose another motor with larger capacity or reduce the load, install speed reducer or other drive mechanism, so as to improve load capacity.